Laura and Buckley Armacher are thrilled to have a new office and showroom near downtown Grass Valley, but they remain focused on the free, in-home consultations that are the hallmark of their Budget Blinds business. For 15 years, customer service has been their foundation. Now they finally have a building. 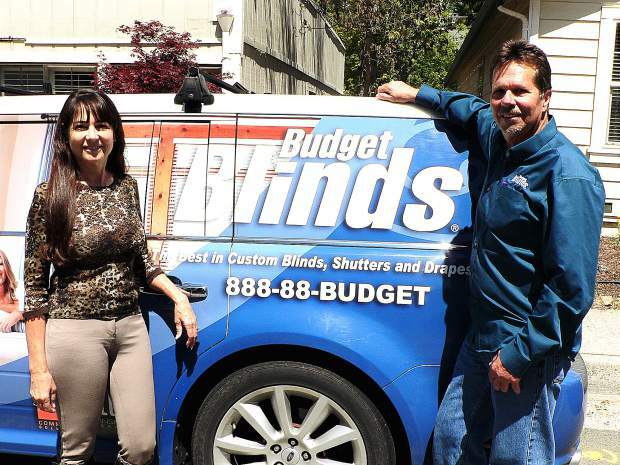 Buckley and Laura Armacher, owners of the Grass Valley franchise of Budget Blinds, have long worked out of their home. Last year, they bought a building near downtown Grass Valley, and they couldn’t be more thrilled. 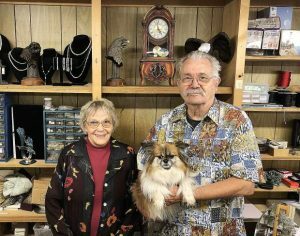 The couple had an office in their home near Cedar Ridge, rented showroom space at a downtown carpet store, and used an offsite receiving center. With 1,200 franchise stores, Budget Blinds is an international company that sells more blinds than any of its competition. Simply stated, the Armachers sell and install custom window coverings, but that’s just a starting point. Lisa Cowden said she appreciated Laura’s interior design advice in February when choosing blinds for her new home in Nevada City. Prompt service and Budget Blinds’ favorable reviews online drew Denise Calef of Lake Wildwood to become a Budget Blinds customer last month. During the past 15 years, the Armachers have sold and installed close to 90,000 window treatments, from Cool to Truckee and everywhere in between. After so many years of working 11-hour days, what this couple doesn’t know about blinds probably isn’t worth knowing. In an ironic twist, their blind devotion to blinds played a role in the purchase of their new showroom and offices. In 2006, the business then operating at 310 Colfax Avenue hired the Armachers to install shutters and blinds. Buckley went home that night and told Laura he thought the building would be perfect for their business. More than a decade later, the Armachers were called to install blinds in a house that was owned by the owners of the Colfax Avenue building. “We agreed on a price and bought it July 1 of last year, then moved here in October,” said Buckley, adding that the building is receiving a facelift that includes corrugated tin siding that will complement Grass Valley’s historic charm. 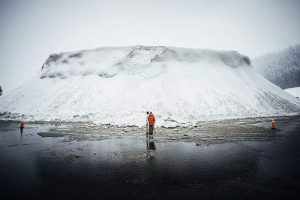 The couple met on the shores of Bullards Bar Reservoir in 1995. Both avid water skiers, they quickly became friends and eventually married in 2002. He lived with his children in Grass Valley and worked for Federal Express. She lived with her children in Los Angeles and worked in information technology. For 11 years, they took turns commuting between Grass Valley and Los Angeles until Laura’s children were out of school. 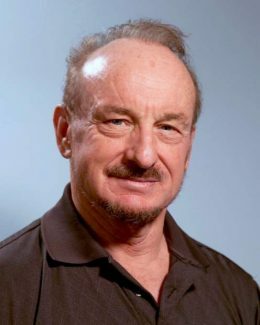 One evening in 2003, he was patiently deleting 56 spam emails on his computer. All except one. The couple met with Budget Blinds officials in Los Angeles and later hired lawyers and accountants to review contracts and paperwork. In fact, all three of Buckley’s children worked in the business while attending Nevada Union High School, then went on to their own careers. Lorraine Jewett is a freelance writer who lives in Nevada County. To suggest a business news feature, contact her at LorraineJewettWrites@gmail.com.